You are here: Home i In Focus i In focus 2019 i Future of Work Iceland i Iceland’s equal pay standard – the employer’s best weapon? Right now, Iceland’s largest businesses are introducing the equal pay standard. Nearly 80 companies have already introduced the standard, and more will do so later this year. The first ones have started to learn about what means in practice. Critics say the standard limits people’s chances to get pay rises or bonuses. “The only thing we learned is that there are very narrow pay gaps between people performing the same job. All secretaries are on the same wage, all specialists are paid the same and all managers are paid the same,” says specialist Anna Lea Gestsdóttir. Anna Lea works at the Icelandic Regional Development Institute Byggðastofnun in Sauðárkrókur in Northern Iceland. She is also the trade union representative there, and knows what staff think about the equal pay standard and how it benefits them. She wants more openness around how wages are set on different levels, and would also like to see more information about the equal pay standard and how it affects employees. Anna Lea says workers feel they are stuck at certain wage levels, and that they do not know how to go about getting a pay rise, or whether it is at all possible to get one because the equal pay standard limits their opportunities. Anna Lea wants to know whether the equal pay standard makes it impossible for individual workers to secure a pay rise after getting further education for instance, or whether one workers’ pay rise automatically leads to other workers on the same wage level getting the same rise. Byggðastofnun is based in Sauðárkrókur in North-Western Iceland. The town's population is growing and has reached around 3,000 people. The economy is largely based around agriculture, but also fisheries. With a staff of 28, Byggðastofnun is one of the main employers in Sauðárkrókur. The town is best known among Icelanders for the country's sole remaining cooperative shop. Byggðastofnun's staff are all members of the medium-sized finance cooperation SFF – The Icelandic Financial Services Association, which counts 4,000 members in total. “The equal pay standard is the best weapon employers have been handed for many decades,” says Friðbert Traustason, Chairman of The Confederation of Icelandic Bank and Finance Employees. The equal pay standard is accepted in Iceland as a useful measure for securing equal pay between men and women. The trade unions have been positive to it, but sceptical voices exist in the finance confederation. The Chairman is one of them. He wonders whether the equal pay standard in fact benefits employers. All staff at Byggðastofnun are members of the finance confederation. Friðbert points out that the certification legislation only certifies what different companies decide themselves, without any negotiations with employees. Companies are free to apply their own criteria and decide just how valuable jobs are. Should an economist working with customer service be paid differently from an economist working with stocks and shares? wonders Friðbert, and points out that when companies decide on how different roles should be rewarded, they might create an imbalance. Friðbert also believes the equal pay standard reduces people’s private initiative at work. The standard means everyone should be paid the same for the same type of work. This might make it impossible to reward a good employee through a pay rise, or to pay a bonus to someone who shows initiative and works independently. Why should anyone work more and show enthusiasm if she or he stands no chance of getting rewarded for their extra effort? “I think companies should be able to reward staff who show initiative and skills. The equal pay standard makes this impossible,” saysFriðbert. 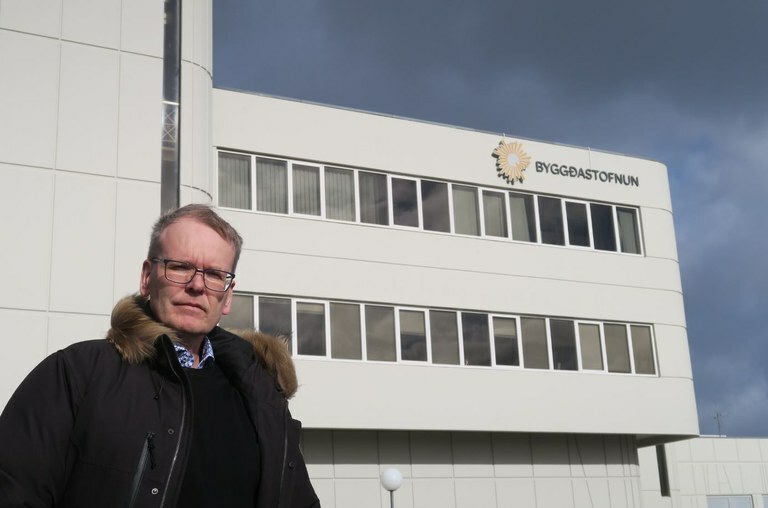 You would be excused for believing the equal pay standard means women get more pay, but that is not the case at the Regional Development Institute Byggðastofnun. 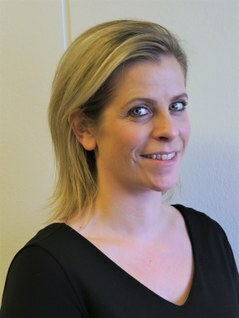 Sigurður Árnason has worked there for 11 years as a specialist. A few years ago he had a small pay rise as a result of the equal pay standard. Sigurður Árnason got a pay raise thanks to the equal pay standard. The salary system is simple; all secretaries are paid the same, as are all specialists and all heads of departments. Byggðastofnun staff never discuss their wages, but Sigurður thinks the equal pay standard is a good thing. To maintain gender equality and equal pay, you measure how much should be paid for different jobs. If there are some faults in the system, you carry on developing the standard until it is perfect, he thinks. Gender pay gaps always represent a problem for society. Aðalsteinn Þorsteinsson, the Director General for Byggðastofnun, explains that regions become vulnerable and that there is a risk of more social problems if there is an imbalance between the genders. That is why it was natural for Byggðastofnun to become one of the first public offices to introduce the equal pay standard in Iceland. They stared back in 2012, and quickly realised that introducing the standard would be a quick job; there were hardly any pay differences between the genders at all within the organisation. The most difficult task was to classify the different roles, and to establish rankings. Aðalsteinn argues the equal pay standard puts the wages into a system where all procedures are documented and all salary decisions are justified. This gives the wage system a certain discipline. Staff can be safe in the knowledge that nobody will see the boss and get a random rise without it benefiting them too. But the system needs to be flexible enough to reward individual workers who do a good job. Aðalsteinn has heard that employees generally wonder whether the equal pay standard will threaten their freedom to negotiate their pay. “The wage system is based on stability and equality. This creates positivity and trust, but sadly, in practice salaries are still secret in Iceland. As long as this is the case, a certain level of distrust will remain,” he says. 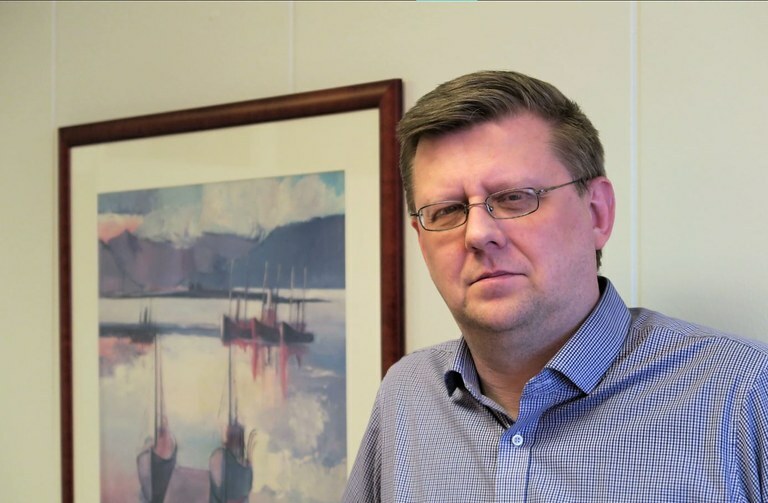 Friðbert Traustason from The Confederation of Icelandic Bank and Finance Employees is not certain that the equal pay standard will close Iceland’s pay gaps. Companies and state organisations that have been certified must be able to show there is no more than 3 % differences in wages. Yet all surveys have so far shown the same number – a difference of 10-15 %. This has yet to change. Sauðárkrókur is a town in Northern Iceland with 2,600 citizens (above). Kaupfélag Skagfirðinga is the largest business in the region, and is involved in fisheries, dairy production, meat production and more. Agriculture is key to this region, which gets most of its income from food production. Around 100 people come to Sauðárkrókur each year to work in meat production or tourism. Byggðastofnun is an independent body which helps develop Iceland's regions and businesses in rural areas. The authority prepares, plans and finances different development projects and supports and strengthens local development by the provision of credit and other forms of financial support. Byggðastofnun is financed by the Icelandic state. Byggðastofnun has been located in Sauðárkrókur since 1998, when it moved from Reykjavík.